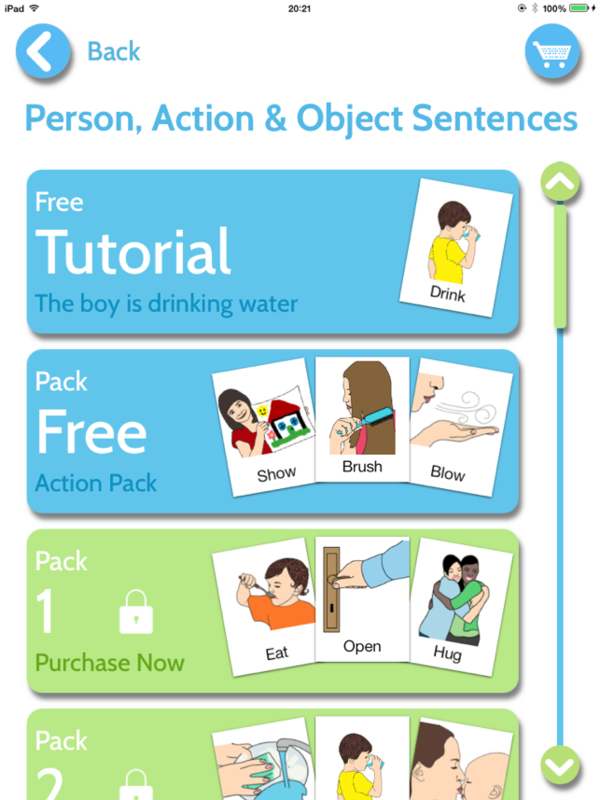 Actions in Video is a ground-breaking new app created by a speech & language therapist/pathologist to work on actions (verbs) and basic sentence structures. This amazing speech and language therapy resource was designed for parents to support their child not only to learn but to transfer the skills learned to their child’s everyday environment. The app does this by using videos of real people doing these actions. 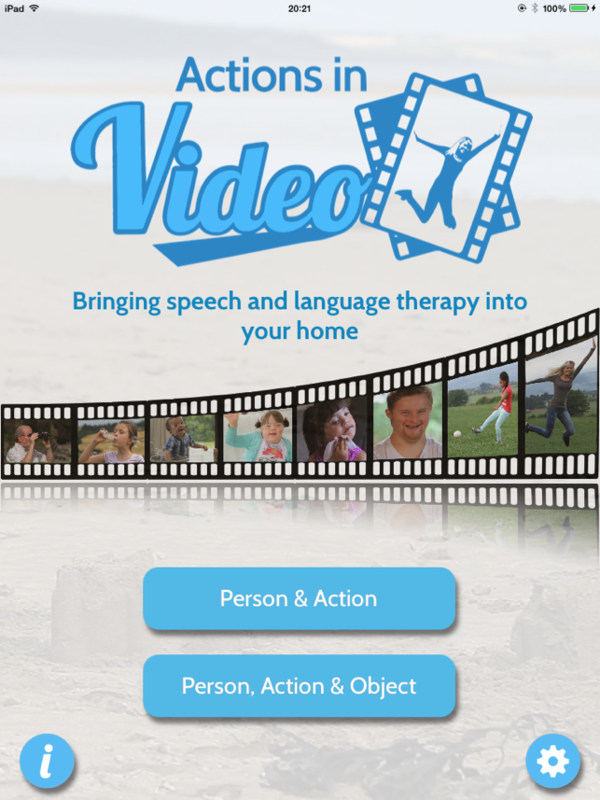 This app is also a great resource for schools and therapy clinics. Suitable for early language learners, pre-schoolers, children with emerging literacy skills, children with language delay and disorder, people with autism, Down syndrome, specific language impairment and those with other special needs who need this type of language support. This app is also visually appealing and suitable for adults with acquired brain injury, aphasia and those with word-finding difficulties. 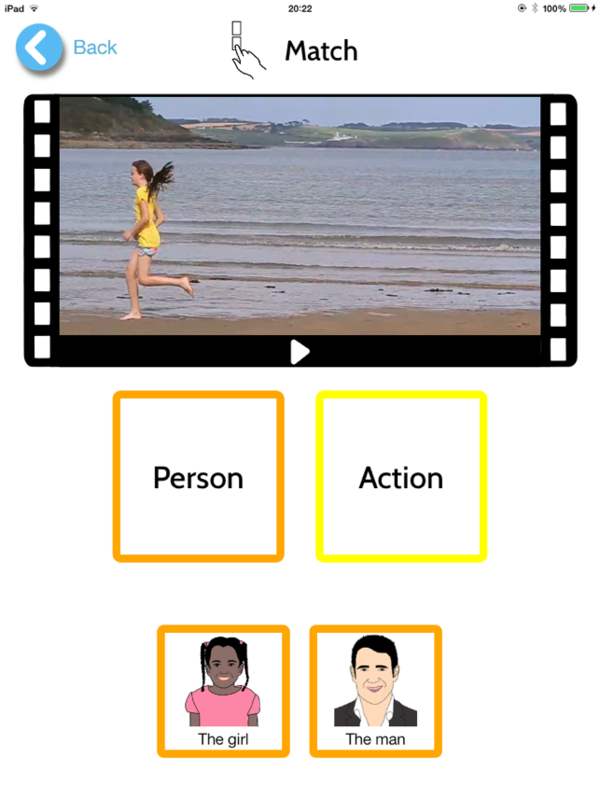 Actions in Video is unique in that it combines a number of traditional therapy strategies to work on both the user’s understanding (receptive) and use (expressive) of key action words. 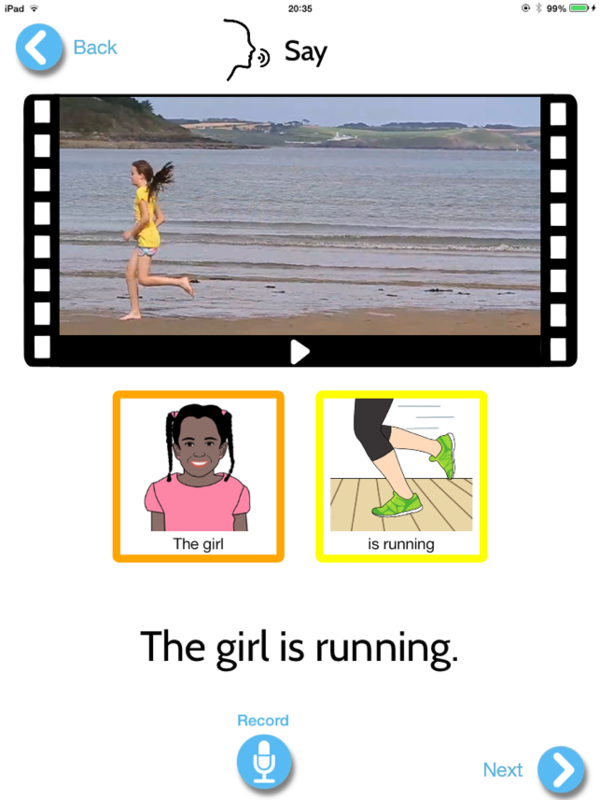 These include visual strategies, video modelling, and colour-coded systems to support language development and the generation of grammatically correct sentence structures all in one easy to use app.